There are innumerable possibilities to further enrich your visit to the Paklenica Riviera. The National Parks: Paklenica, Krka, Kornati, and Plitvice Lakes, as well as the Nature Parks Northern Velebit, Vransko Lake, and Telaščica Bay will delight you with the infinite beauty of nature, and the historical urban centers of Zadar, Nin, and Pag with their perfect harmony of ancient and modern. 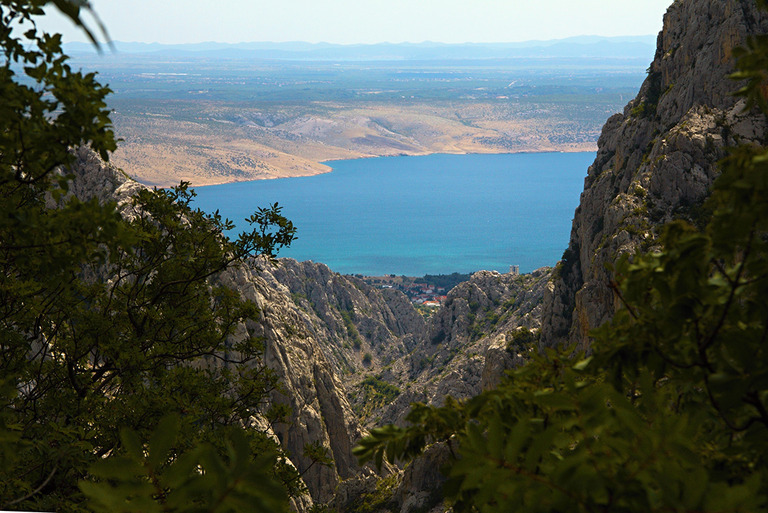 The impressive beauty of the Velebit Mountain can most intensively be experienced on photo-safari excursions. A trip sailing by sea all the way to the rapids on the Zrmanja River is an unforgettable experience… Another 3 sites on the UNESCO World Heritage list are also located in the vicinity – The Plitvice Lakes National Park, the historical nucleus of the city of Trogir, and the Cathedral of St. James in Šibenik…. Due to the exceptional beauty of the landscape, the fascinating geomorphology, the greatly indented coastline and the exceptionally rich marine life, a substantial part of the Kornati waters were declared a national park in 1980. The national park is a vast, mostly untouched area of exceptional and multiple natural riches, encompassing one or more preserved or insignificantly changed ecosystems. With its seven travertine waterfalls with a total height of 242 m, Krka is a natural and karst phenomenon. At the very heart of the national park is a Franciscan monastery, situated on the islet of Visovac. The Plitvice Lakes are Croatia's best-known national park, and are considered to be among the most beautiful sights in Europe. Because of their natural diversity, UNESCO has inscribed them on the list of World Heritage Sites. Plitvice Lakes are a system of 16 interconnected lakes with numerous waterfalls surrounded by thick forests. Visitors will encounter numerous walking trails and small wooden bridges raised just above the still waters of the lakes. The area was declared a national park due to the exceptional variety of karst phenomena, the diversity of wildlife and the exceptional natural beauty of this relatively small area. The park covers an area of 109 km2 and also includes the Hajdučki kukovi and Rožanski kukovi strict nature reserves. These are specific geomorphological phenomena in which over 150 pits have been discovered so far, the best-known of which is Lukina jama (Luke's Pit), one of the deepest in the world, discovered in 1999. Zadar – centre of the region, was founded 3000 years ago, and is impressive due to its architecture, museums and churches, as well as its rich cultural and entertainment offer. The settlement of Ljubotić is one of the rare still-active mountain settlements that has preserved its ancient character, situated in a green oasis in the middle of Mt. Velebit, and yet so near the seaside (only 3 km above the settlement of Tribanj-Kruščica). At the Vrata Velebita (Gates of Velebit) rural household, sample simple local specialities, visit an ethno house, and the permanent exhibition of the development of beekeeping in Dalmatia and the Mediterranean (with advance notice). Near the settlement is the Mirila educational trail, while experienced hikers will gladly make their way to more distant attractive locations – Stap, Kamena galerija (Stone Gallery), Reljina peć (Reljina Cave). The Zrmanja River delights with its crystal clear waters winding through an imposing, 200 metre deep canyon, that ends its course mixing with the waters of the sea off the shores of the town of Novigrad. The upper reaches of the river abound in travertine waterfalls, large and small, among which the most attractive is the 11 metre high Veliki buk, while Jankovića buk, adorned with the imposing remains of old mills, is a favourite excursion area. Sailing from Starigrad-Paklenica, it is worth visiting Novigrad – an ancient fishing settlement located at the very mouth of the river, and the fortifications of the Kurjaković princes above the town of Obrovac, also situated on the banks of the Zrmanja River. The most interesting tributary of the Zrmanja River is the Krupa River. The attractive locations on this stream are accessible by the road leading from Starigrad-Paklenica, including the large grass-covered travertine barrier called Deveterac (Niner). It received its name from the 9 travertine cascades that end in a 13 metre high waterfall. Back in the 19th century, a worthy master craftsman constructed the well-known Kudin Bridge using the drystone technique, with 12 arches made of travertine blocks lain on as many stone columns. Many of the attractive locations in the Velebit area are accessible only using all-terrain vehicles. That is how you will visit Tulove grede and the Zrmanja River canyon, drive the historic Velebit roads, and visit the Krupa monastery. We absolutely recommend visiting the spring of the shortest river in Croatia – the Krnjeza. 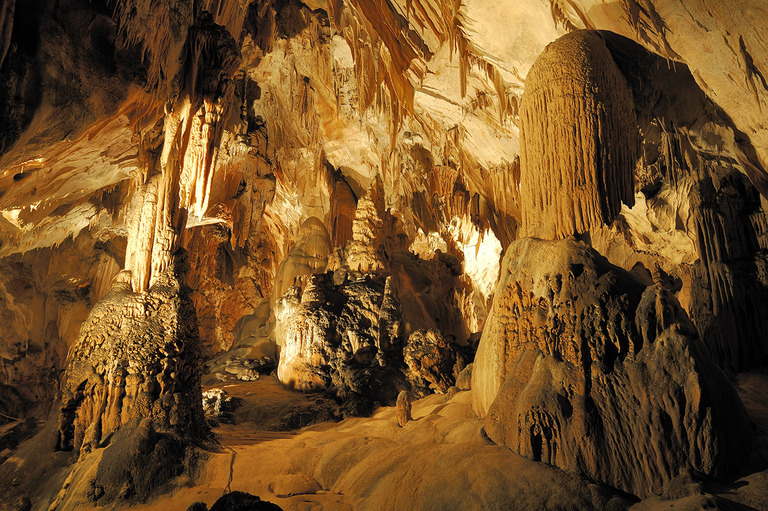 Its source is located at the bottom of a 60 metre deep cave adorned with calcite curtains and stalactites and stalagmites at the entrance, only to converge with the waters of the Zrmanja River a short 600 metres later. Although short, it is as deep as 45 metres in places, and its waters are very cold and clear, excellent for drinking.